CONWAY – In his 100th career game in a Coastal Carolina uniform senior guard Warren Gillis eclipsed the 1,000 career point mark in aiding the Chanticleers to an 85-40 victory over visiting Warren Wilson College Thursday evening at The HTC Center. Gillis reached the 1,000 point plateau with his pair of free throws at the 13:42 mark of the first half. He becomes the 19th member of the Chanticleers' 1,000 point club in the program's 40th year of basketball. Gillis, who averaged played with fellow 1,000-point scorers Anthony Raffa and Kierre Greenwood as a freshman and sophomore, is averaging 10.04 points per game for his career. 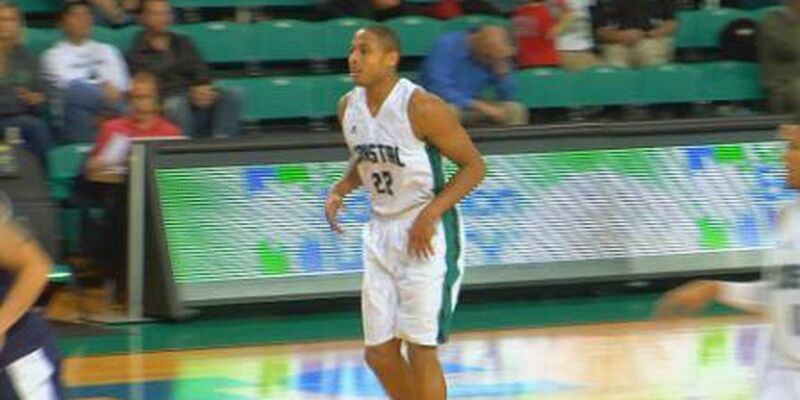 Elijah Wilson ended the game as Coastal's leading scorer with 13 points with five made field goals and two free throws. Joining Wilson in double-digits were Josh Cameron (12), Colton Ray-St Cyr (12) and Badou Diagne (11). Marcus Freeman along with Diagne led Coastal's 66-25 dominance on the boards with 13 and 10 rebounds, respectively. Coastal (7-2) closed the night shooting 40.5 percent (32-of-79) from the field and 29.2 percent (7-of-24) from three. The Chants outscored the Owls 44-6 in the paint and converted 19 turnovers into 29 points. Coastal Carolina travels to South Carolina State on Sunday for a 3 p.m. tipoff at the Bulldogs' Memorial Center. The Chanticleers defeated SC State 66-52 in Conway on Dec. 2.